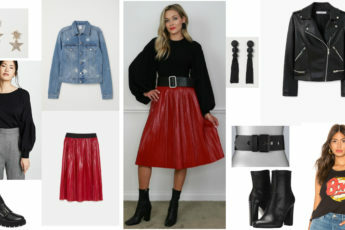 It Girl Eleonora Carisi is always on the front line when it comes to encouraging us to embrace new styles and try new trends, and this time around she is sharing with us a thrilling, one-of-a-kind collaboration indeed. The Italian fashion blogger has teamed up with Superga, the famous Italian footwear label that is always busy reinventing itself without ever failing to keep its signature lines alive, always surprising us with modern new collections. Carisi, a longtime Superga aficionado, has been appointed as the label’s new brand ambassador, and we can finally see her sporting some of Superga’s newest, glittery party-approved sneakers in the Superga Estreme summer 2016 campaign. The elegant, modern and sleek designs are already available for purchase at Superga.com. With her appearance in this campaign Eleonora proves that can look astounding at any party while wearing a pair of casual-chic sneakers too. For those who have been wearing Superga sneakers since a very young age, knowing that a few pairs of their favorite sneakers have been purposely created for nighttime occasions must be a new reason to update their personal footwear collections, also due to the fact that Supergas are always undeniably cozy and foot-friendly. Carisi herself has some emotional memories regarding Superga, and she took the time to share them with us on her blog. “Superga represents to me the past, with memories of days spent in Turin with my family, when my mom tied my little red shoes; the present of the woman I’ve become,’ she writes. As for the party proposals for summer, Superga opted for spicing things up with glittering metallic finishes and sequins, combined either with a black or a white solid-colored upper part. Made in either gold or silver, the sparkling leather creates an unconventional contrast with the clean and minimalist lines of the sneakers, which get usually embellished with either pastel colors or delicate patterns. This new technique kind of amps up the modern appeal of the designs, while also adding the right dose of glamour and elegance to the sporty shoes. Just like Carisi’s looks greatly vary in styles throughout the campaign, the Superga Extreme capsule collection is diverse enough to let you wear your favorite sneakers with a casual outfit or a more Nineties-inspired look during the daytime, and at nighttime, finishing off a total-black ensemble that enhances the curves and accentuates strong personalities. Carisi is then seen wearing a total-white look, composed of a refined kimono jacket and a pair of cropped bell-bottom pants with contrasting black hems, as well as a black romper with a white polo underneath that will very likely appeal to many of you. No wonder, this collection will let many people better embrace their personal style, especially if they often favor cozy, yet whimsical sneakers over a pair of wedges or stilettos when it comes to party dressing.